More than 70 percent of the journalists in prison in Turkey are Kurdish or from Kurdish media, and so Peace in Kurdistan campaign will be there to raise the issue. More details on the events page. We hope to see you there! Kurdish rebels announced on Thursday they would on May 8 begin withdrawing from Turkey into their safe haven in northern Iraq amid a peace drive between Ankara and the rebel movement. But the armed group warned Turkey’s powerful military against “provocations” which would see the end of the pledged withdrawal by outlawed Kurdistan Workers’ Party (PKK) fighters. “As part of ongoing preparations, the withdrawal will begin on May 8, 2013,” PKK leader Murat Karayilan was quoted as saying by the pro-Kurdish Firat news agency. “The withdrawal is planned in phases … and is aimed to be finalised as soon as possible,” he said without providing any exact timetable. Kurdish Communities Union (KCK) Executive Council President Murat Karayılan has held a press conference on the withdrawal of Kurdish guerrillas out of Turkish borders. The press conference, which was attended by KCK Executive Council member Zeki Şengali and Kongra-Gel Executive Board member Hacer Zagros as well, was followed by a number of worldwide press members. Karayılan started his statement by expressing his appreciation concerning the selection of Abdullah Öcalan in Time magazine’s annual list of the 100 most-influential people in the world, and extended his thanks to Sinn Fein Leader Gerry Adams who has written Kurdish leader Abdullah Öcalan’s profile for the magazine. Karayılan stated that the withdrawal will start on 8 May, noting that it would be ceased in the event of an operation or attack by the Turkish military. Important amendments this month to Turkey’s terror laws do not necessarily benefit the large minority Kurds, with whom the government is engaged in historic peace talks, and are meant to placate the European Court of Human Rights (ECHR), observers say. Under the latest amendments, made on April 12, throwing rocks and bottles at law enforcement agencies and distributing propaganda will no longer be considered acts of terror. They also give judges greater leeway to suspend jail sentences. “Previously, a judge could only suspend a two-year prison term or convert the sentence to a fine. In the new package the judge can suspend even five-year sentences,” said Sidki Zilan, a Kurdish lawyer and politician. Justice for the thousands of state-perpetrated killings and disappearances of Kurdish civilians in the 1990s should be an essential part of the peace process under way in Turkey, Human Rights Watch said today. Human Rights Watch released a video outlining the events of that era, with family members whose loved ones were killed describing the lack of justice ever since. 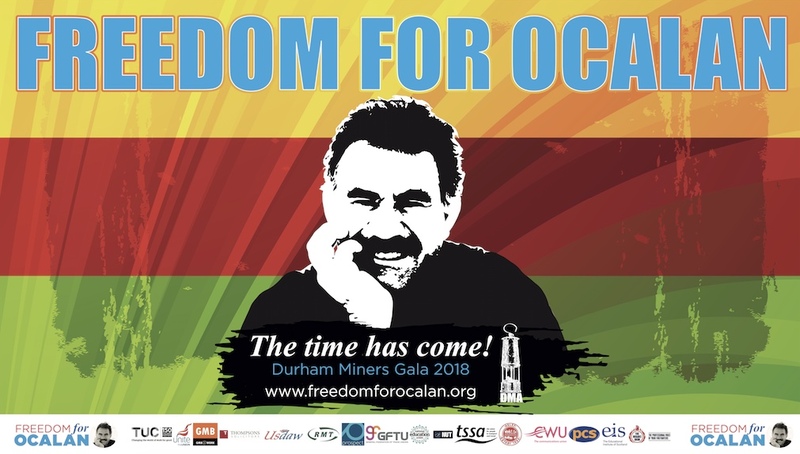 Ongoing talks between the Turkish government and Abdullah Öcalan, imprisoned leader of the armed Kurdistan Workers’ Party (PKK), aim to end a decades-long conflict to further human rights and democracy in Turkey. The fourth hearing of the case against workers of the Kurdish press has started at Silivri Prison Complex in Istanbul on Monday. 46 workers of Kurdish press, including Dicle News Agency, ANF, Özgür Gündem, Azadiya Welat, Demokratik Modernite and Fırat Distribution, were arrested in the scope of a so-called KCK (Kurdistan Communities Union) operation on 20 December 2011. 26 among them are under arrest ever since. The hearing of Kurdish journalists coincides with the 115th anniversary of the first publication of Kurdistan daily, the first Kurdish paper, in Cairo. The European Federation of Journalists (EFJ) pursues its international campaign to Set Free Journalists in Turkey. Please find below the latest news on the matter; note also that today the latest hearing in the KCK case in Istanbul takes place. EFJ is there observing the trial. You can find in-depth information following the link of 19 April. This Friday, a press conference at AJP in Brussels with observers who have been to Istanbul will report on the case. Kurdish Communities Union (KCK) Executive Council member Cemil Bayık spoke to the magazine Sivil in South Kurdistan about the recent developments in the process of talks in search for a solution to the Kurdish question. Referring to the call Kurdish leader Abdullah Öcalan made on Newroz in Diyarbakır on 21 March, Bayık said that Öcalan made this call to the whole world, holding a kind of referendum on the democracy and freedom problem in Turkey, Middle East and the world. This referendum has been accepted by millions of people, said Bayık and pointed out that Öcalan’s call should be seen as the beginning of a new process. “It is like trying to swim across a river flowing wild,” was the metaphor used by Turkish Foreign Minister Ahmet Davutoğlu to describe the Kurdish solution process initiated by the government. “Up until the halfway point, you have the option to turn back; it would be shorter anyway. But once you make it halfway, you want to reach the other bank no matter what it takes, turning back would both take longer and be riskier.” On board the plane carrying him from the NATO meetings in Brussels back to Ankara on the evening of April 23, Davutoğlu pointed out that “the risk” was not only for the government but for the “organization” as well – avoiding using the name of the outlawed Kurdistan Workers’ Party (PKK), which is expected to make a statement on April 25 at its headquarters in Iraq’s Kandil Mountains regarding the pullout its estimated 1,500 militants from Turkey as a part of the dialogue process that started late in 2012. The Turkish Armed Forces (TSK) announced on April 22 that its fight against terrorism was continuing, about one month after the outlawed Kurdistan Workers’ Party (PKK) declared a unilateral cease-fire. A list titled “News from the Turkish Armed Forces,” was posted on the official website of the TSK, with item one titled “The Turkish Armed Forces’ Fight with the Terrorist.” “The Turkish Armed Forces’ fight with the terrorist, as stated in laws and in the government’s directive, is continuing,” the TSK wrote, without naming “the terrorist” and explicitly citing the name of the PKK. The President of the Parliamentary Assembly of the Council of Europe (PACE) said April 24 that he would pay an official visit to Turkey between May 13 and 15, while also saying that the outlawed Kurdistan Workers’ Party (PKK) was still on the European Unions’ terrorist groups list, as the controversial PACE assessment on Turkey sparked debate by changing the terminology for describing the PKK militants to “activists.” “During this visit I would also like to mention the negotiations between the Turkish authorities and Abdullah Öcalan, the leader of the PKK, an organization which is still included in the EU list of terrorist groups,” said Jean-Claude Mignon, the President of PACE, in a written statement yesterday, condemning all forms of terrorism. Throughout 2013, English PEN is campaigning on freedom of expression in Turkey. The campaign aims to raise awareness of current threats to writers, publishers, translators and journalists; to promote literature from Turkey in translation; and to engage in public discussion and debate with writers, artists and intellectuals from Turkey. According to PEN International’s most recent case list (July – December 2012) there are currently more cases of concern to PEN in Turkey than in any other country in the world. Meanwhile, the Committee to Protect Journalists (CPJ) reports that Turkey is now the ‘world’s worst jailer’ of journalists, and Turkey was ranked 154 out of 179 countries in the 2013 World Press Freedom Index compiled by Reporters Without Borders, having dropped six places in the last year. World-renowned Turkish pianist Fazil Say has been given a suspended 10-month jail sentence for insulting Muslim values. An Istanbul court found Say guilty over a series of posts on the social networking site Twitter. Say was not in court for the sentencing. But he denied the charges, saying they were politically motivated. 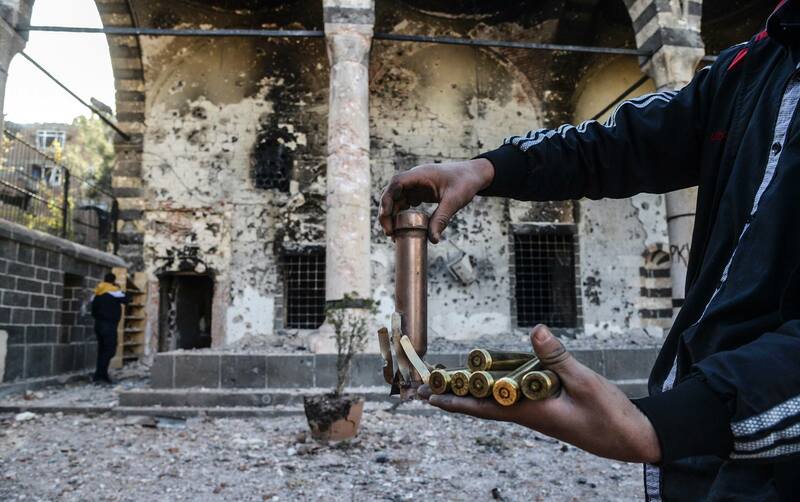 The case renewed concern about the influence of religion on politics in Turkey. Pointing to the prosecution of several artists and intellectuals for voicing their views, critics have accused the governing AK Party of undermining Turkey’s secular values and pandering to Islamists. The fourth meeting of the Turkey-UK Joint Economic and Trade Committee took place in the British capital of London on Monday. Turkish Economy Minister Zafer Caglayan, British Minister of State for Trade and Investments Lord Stephen Green, businesspeople and investors from both countries attended the meeting. Speaking at the meeting, Zafer Caglayan said that Europe should end visa procedures for Turkish business world, academicians, artists and journalists. Caglayan stressed the importance of increasing cooperation between Turkey and the UK. If we compare Turkey-UK relations to basketball, we need to score three-point field goals, Caglayan said.The way to three-point field goal is by doubling our trade and increasing mutual investments, Caglayan. Turkish Armenians and Turkish civil society groups joined with a foreign delegation comprising 20 anti-racist and Armenian representatives from 15 countries to commemorate the 98th anniversary of the tragic events of 1915 in İstanbul’s Sultanahmet Square on Wednesday. The foreign delegation, which joined the commemoration for the first time this year, included the Armenian General Benevolent Union (AGBU) Young Professionals from Bulgaria, the Roma Center in Romania, which works for Roma rights, and the AGBU from France and the European Grassroots Antiracist Movement (EGAM). There were also representatives from Turkish NGOs. Bombings of Kurdish areas in Syria suggest that Syrian Kurds, long detached from the revolt against President Bashar al-Assad, are increasingly being targeted by his forces after they struck deals with rebels fighting to topple him, a Kurdish leader said. Saleh Muslim, head of the Kurdish Democratic Union Party (PYD), said a recent wave of Syrian army attacks may have been prompted by non-aggression pacts reached between Kurds and some moderate factions in the rebel forces. Another possible reason, he told Reuters in an interview, was that Assad feared Turkey – which has harbored Syrian rebels and called on him to quit – could also aid Syrian Kurds after entering peace talks with its own restive Kurdish minority. Northern Iraq and Turkey are set to grow closer in social terms in the near future, Ankara’s top diplomat in the Kurdish region has said, noting that the two polities’ convergence was not merely limited to the economic sphere. “Human rapprochement has been building our common future. These relations with Iraqi Kurdistan will continue getting deeper despite the challenges in the region,” Aydın Selcen, Turkey’s first ever consul general to Arbil, said April 21, while addressing the “Female Journalists Media Workshop” organized by the Medialog Platform in Sulaymaniyah. 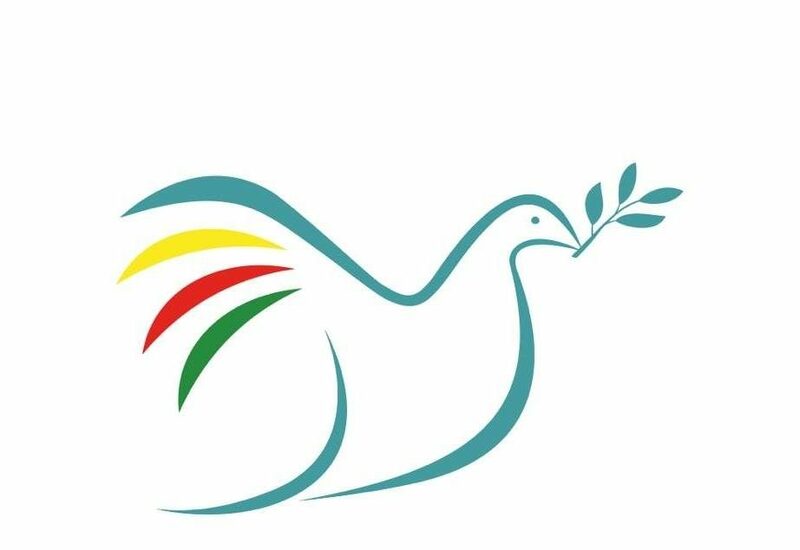 Launching a ‘peace process’ aimed at having the PKK give up the use of guns and establishing peace is, to a large degree, linked to the new security paradigm and state mentality which Turkey has been obliged to develop in the face of changing regional and global circumstances. Undoubtedly the official mentality is not the only reason why the settlement process has been started but it is an important one. Mention of an official mentality does not imply any denial of the fact that the main area for the settlement process will be politics. The letter from the PKK’s leader, Abdullah Öcalan, that was read out during the Nevruz celebrations contained references to regional and global developments and also consigned some things to history and thus confirms this interpretation. The Israeli apology to Turkey is also an initiative with important consequences for the Arab Spring and developments in the region, and Turkey’s role in relation to them. BIBLE scholars say the Garden of Eden was in southern Iraq, perhaps where the rivers Tigris and Euphrates meet. But when Iraqis think of earthly paradise they tend to look north, towards Kurdistan. It is easy to see why. Over Nowruz, the spring holiday celebrated last month, picnickers flocked to the autonomous region’s flower-speckled meadows and valleys carved by streams flowing down from snow-capped mountains. Nature is not Iraqi Kurdistan’s only draw. The relative order, security and wealth enjoyed by the 5m residents of Iraq’s three Kurdish provinces are the envy of the remaining 25m who live in the battered bulk of Iraq, and of others too. Since 2011 some 130,000 Syrian refugees, nearly all of them ethnic Kurds, have been welcomed in as brothers; the UN says that number could reach 350,000 by the year’s end. Chief Assistant Dr. Boyko Marinkov from the Institute for Balkan Studies and Center for Thracology with the Bulgarian Academy of Science in an interview with FOCUS News Agency. FOCUS: Mr. Marinkov, what is your comment on the map of the so-called New Turkey that was published by the Turkish media? Claimed by Kurds, Arabs and Turkmen alike, the oil-rich province of Kirkuk remains one of Iraq’s most disputed and politically flammable regions ten years after Saddam Hussein was toppled. Karlos Zurutuza spoke to the most senior representatives of the region’s different communities’ about the province’s diverse problems. Falah Salah was only a boy when he saw oil flowing through the back yard of his family’s home in Kirkuk: “One day we got up and there was a pool of black mud at the entrance. My father told us not to tell anyone about it,” he recalls. The family’s discretion was understandable. “If the government had found out about the oil, we would have been evicted and forced to move to another neighborhood,” explains Salah, now 38. 24. PiK: Open Letter to Christiane Taubira, French Justice Minister, 25 April 2013. 25. KCK Press case: Set our colleagues free, says EFJ, 19 April 2013. 26. English PEN: Letter to the Turkish Minister of Culture, 12 April 2013. 27. Amnesty International Briefing: Turkey: National authorities and the international community must act in partnership to meet the needs of Syrian refugees, 25 April 2013.